Fundraiser for Nikisha williams by Keyofshe A Cappella : Key of She & Do Re He take NYC 2.0! Key of She & Do Re He take NYC 2.0! 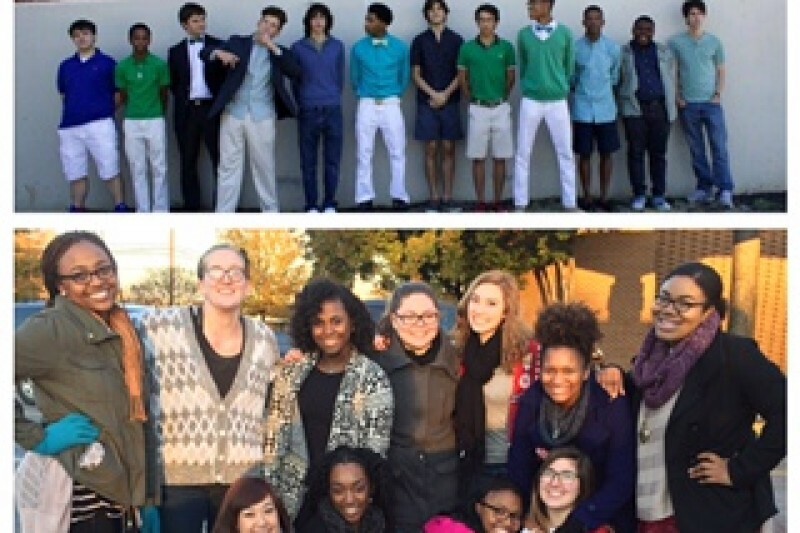 White Station High School Choir presents Key of She, an all-female pop a cappella group! This group performs a variety of music including pop, gospel, jazz, rock, and sacred classics, and can be seen performing around the Memphis area. Only in its second year of existence, Key of She has managed to compete as one of four high school groups in the country in the first annual National High School A Cappella Competition, where they received the outstanding soloist award. In addition, they were asked to perform a solo slot at Carnegie Hall for DCINY's Total Vocal Conference with Deke Sharon (The Sing-Off, Pitch Perfect, Pitch-Slapped). Last fall, the girls qualified to compete in the International Champions of High School A Cappella conference. They placed first in the South Semi-Finals in February with an 80 point lead! This means that they are going back to NYC at the end of April to represent the South and compete in finals. With your thoughtful contribution, you can assist in providing a life-changing opportunity to these students. Because we have virtually no funding from our school, we are hoping to raise the money for travel, otherwise, Key of She will not be able to compete. We are striving to raise $5,000 to help off set the cost of this trip. We will leave this link available until April 1st, as we will need to finalize flights and hotel before the competition on April 29th. Thank you for your continued support of White Station High School and investing in the betterment of these students' lives! Check out some of the members of Key of She expressing what the group means to them! There is still time to give for their trip to NYC in March! Check out some members of Key of She expressing what the group means to them! There is still time to give for their trip to NYC! Here is DoReHe singing All I Do! Here is Key of She singing End of Time! I am SO proud of this entire ensemble of young women!!!! What an AWESOME representation of White Station High School!!! Way to go, Sparta ladies!!! Wish I had $2500 to give; they are fabulous! Everyone dig deep and give these kids some money! Good Luck! I'm so proud of all of you. Good Luck! You all are Very talented!